Graduate of the Faculty of Information Technology and Management at the Wrocław University of Technology. 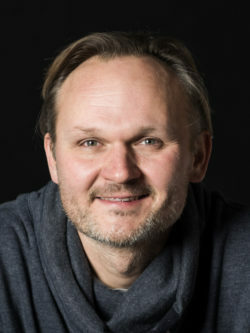 He has been involved in developing computer games since the early 1990s, when he founded Metropolis Software House, one of the first game development studios in Poland, which he successfully headed in 1999–2009. One of the founders of 11 bit studios S.A. and the author of the original concept of This War of Mine, a game which proved to be a worldwide success. Graduate of the Faculty of Economics and Management at the Higher School of Commerce and Law. 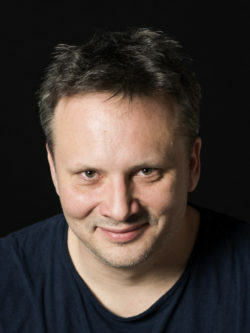 He worked as a designer for Lead 3D in 2002–2005. In 2006, he joined Metropolis Software, where he served as the Design Director from 2007. 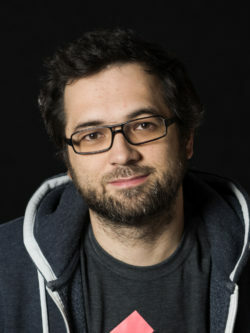 At 11 bit studios S.A., Michał Drozdowski was responsible for the design of all 11 bit studios S.A. games, including titles from the Anomaly series, Funky Smugglers and This War of Mine.